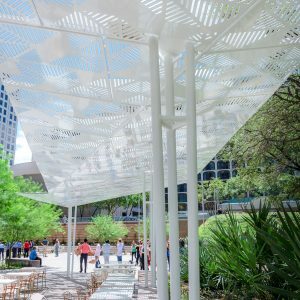 dwg. 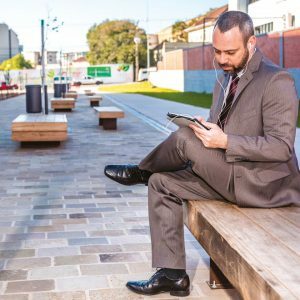 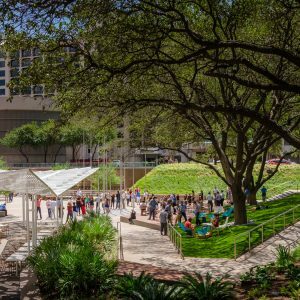 Fareground liberates a lost landscape in a bustling urban environment through the transformation of an underutilized office plaza. 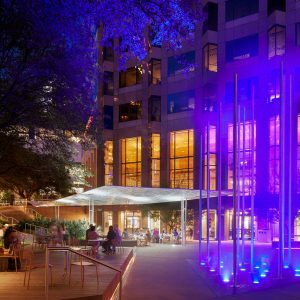 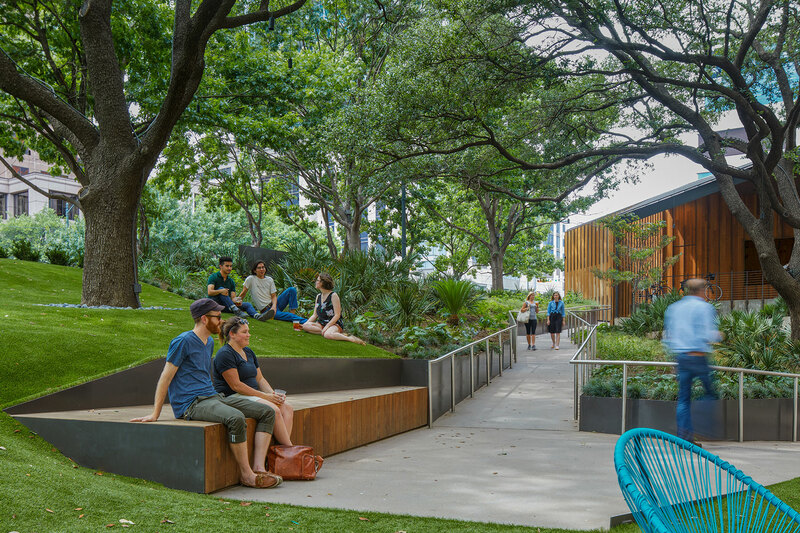 The project produced a new hub of urban life; fully embracing the downtown Austin community in an oasis to gather, socialize, relax, entertain and create. 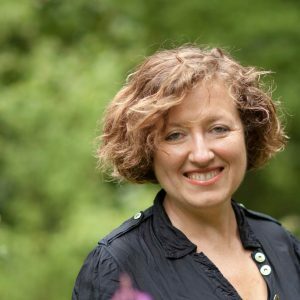 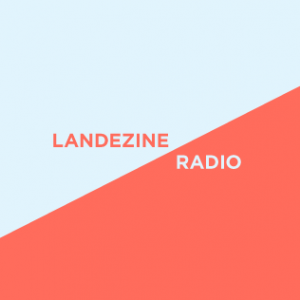 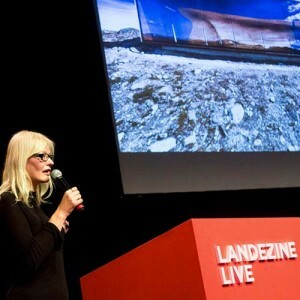 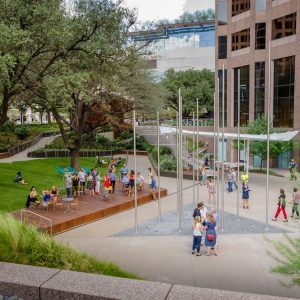 The resulting landscape performs through careful programming, vitality, social engagement and environmental sensitivity. 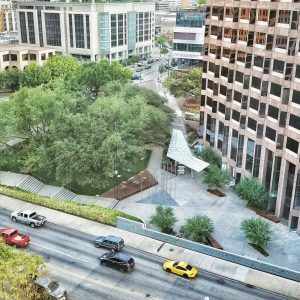 The client for this project needed to reposition an aging office building in order to compete with a host of new towers in the Austin market. 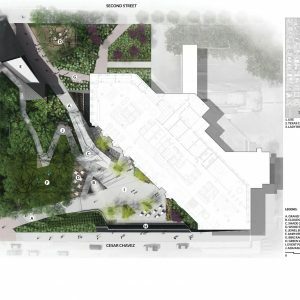 dwg. 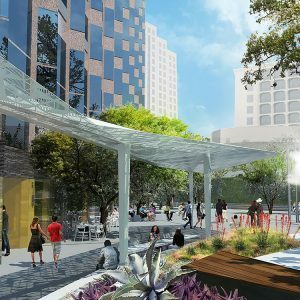 served as the lead consultant for the project, working closely with the owner to envision an updated exterior to bring a new life to the building; a new life that meets the demands of Austin’s urban environment, which has experienced explosive popularity and change over the past decade. 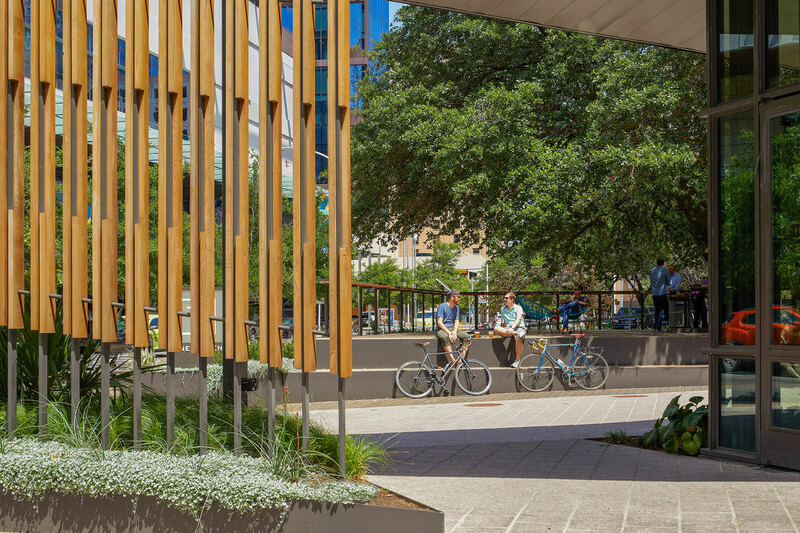 Through the process of conceptualizing the exterior transformation, the project expanded to include a complete renovation of the building’s lobby and the introduction of Austin’s first food hall. 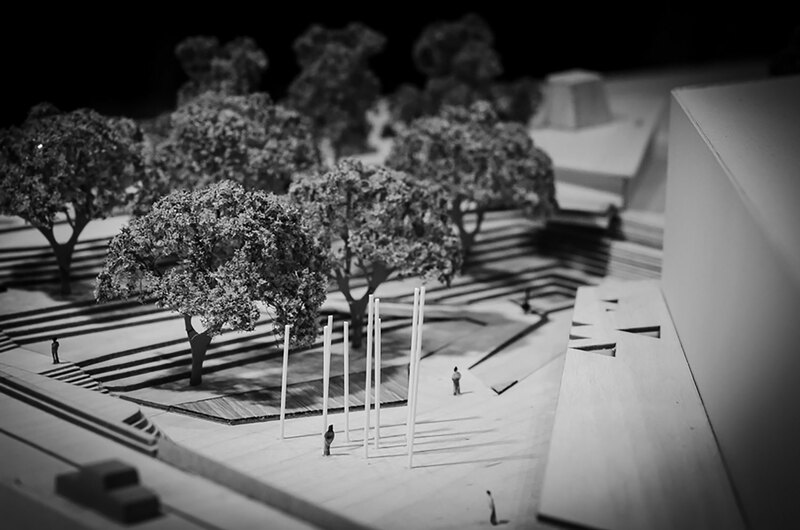 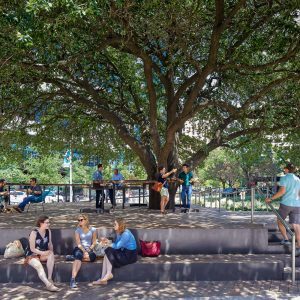 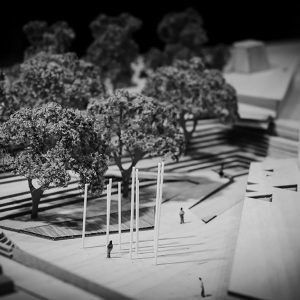 Fareground’s plaza is nearly one-acre in size and features an inviting, rolling lawn with impossible to ignore, preserved, massive oak trees. 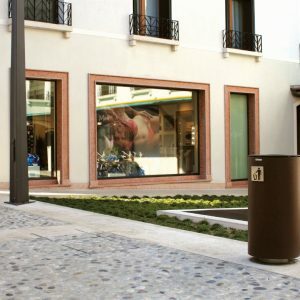 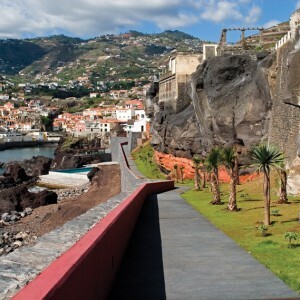 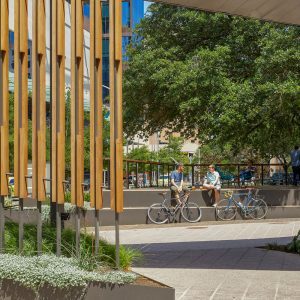 A new meandering ADA ramp offers universal accessibility and immerses visitors in the natural environment as they enter the space, peacefully veiling the hustle and bustle of the busy, adjacent, at-grade streetscape. 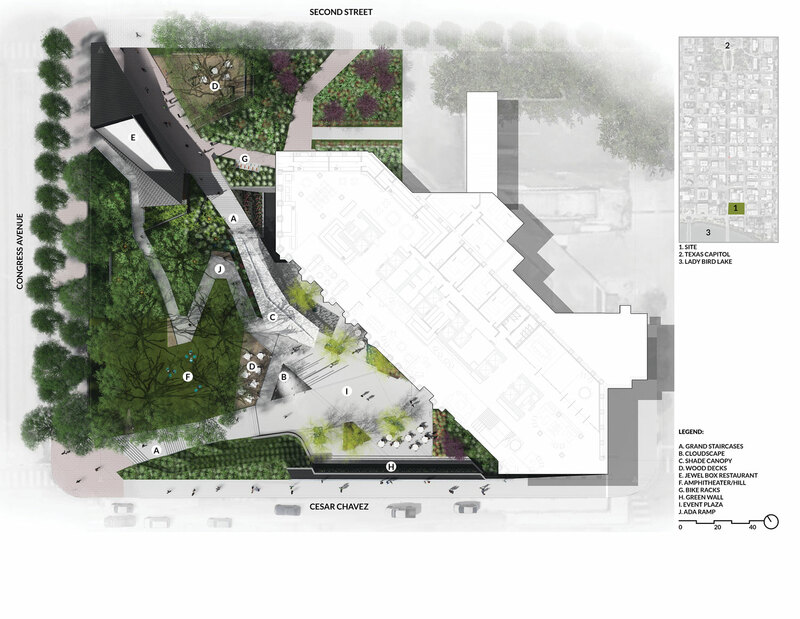 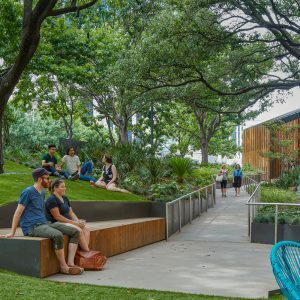 Fareground utilizes a dramatic botanical plant palette of native and adapted species to create a verdant and comfortable setting in the midst of the built environment. 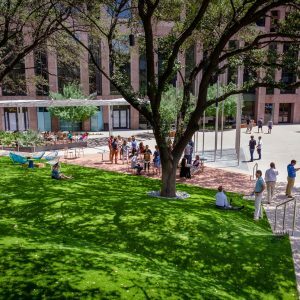 Synthetic lawn is used strategically in densely shaded areas to reduce water usage and limit maintenance costs. 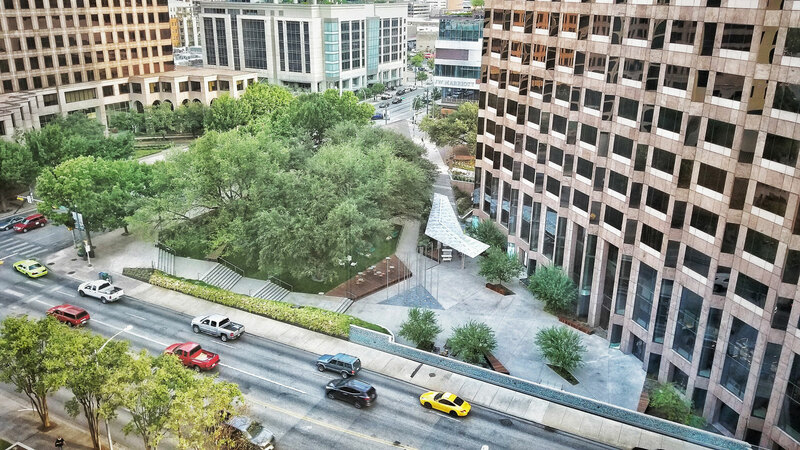 Reclaimed and locally sourced granite is used to clad new and existing walls to integrate the new design with the old building. 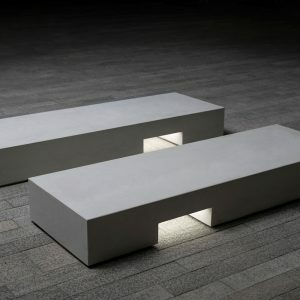 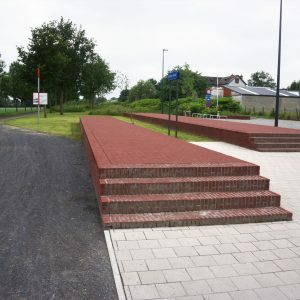 High fly-ash concrete walks, plaza and stairs are accented with custom, locally fabricated metal works. 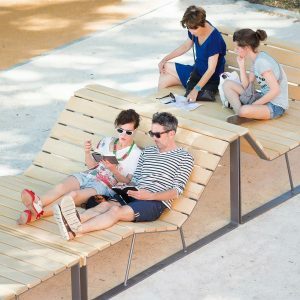 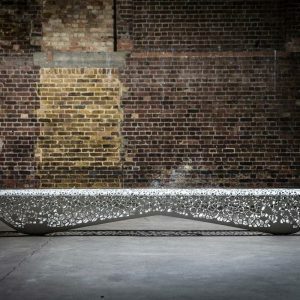 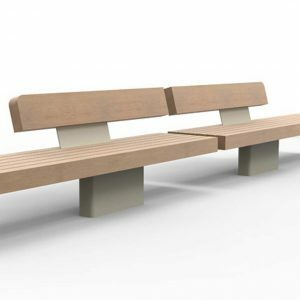 A variety of seating options and scales of gathering spaces provide lounging, dining, chatting and working opportunities for users. 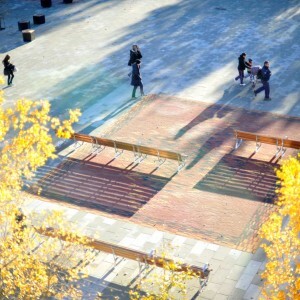 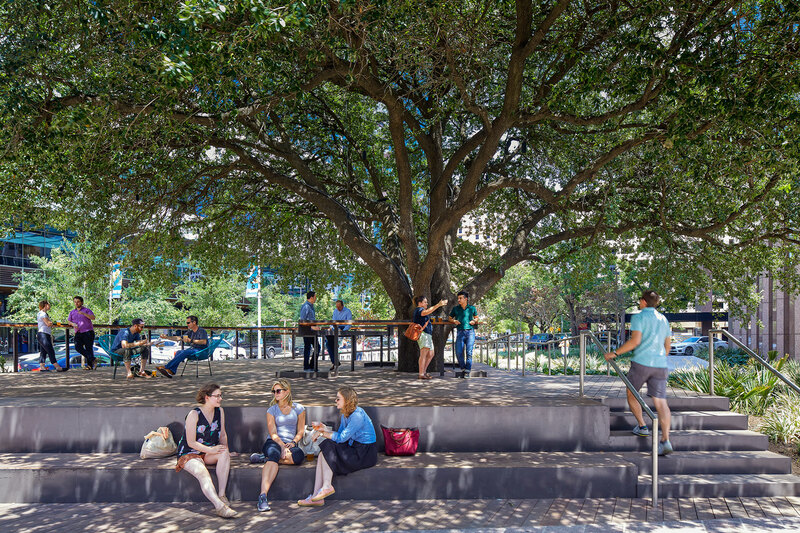 Custom, fixed wooden benches and decking are complemented by mobile furnishings to enhance the flexibility of the plaza. 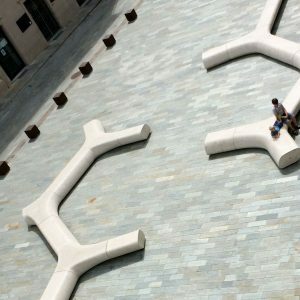 This series of intertwined outdoor rooms meets the needs of individuals and groups and can alternatively be used as a collective to accommodate large events. 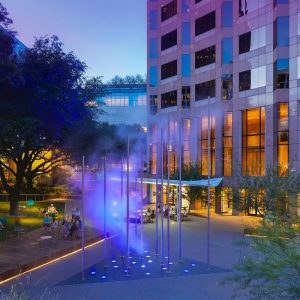 Cloudscape, Fareground’s iconic water feature, quite literally creates clouds from water collected from the building’s AC-condensation and creates a powerful visual beacon. 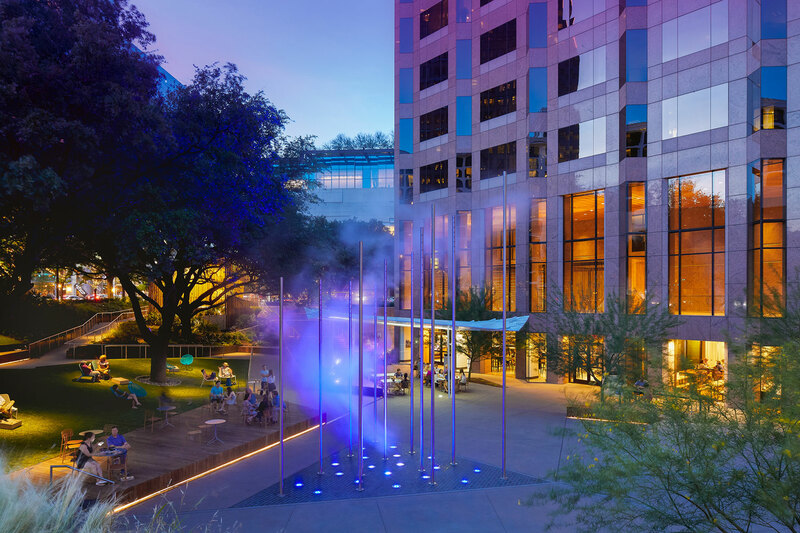 Utilizing state of the art technology, water is atomized at incredible pressure from twelve tall, slender pylons to create a sculpture that reveals the quality of light, opacity and movement. 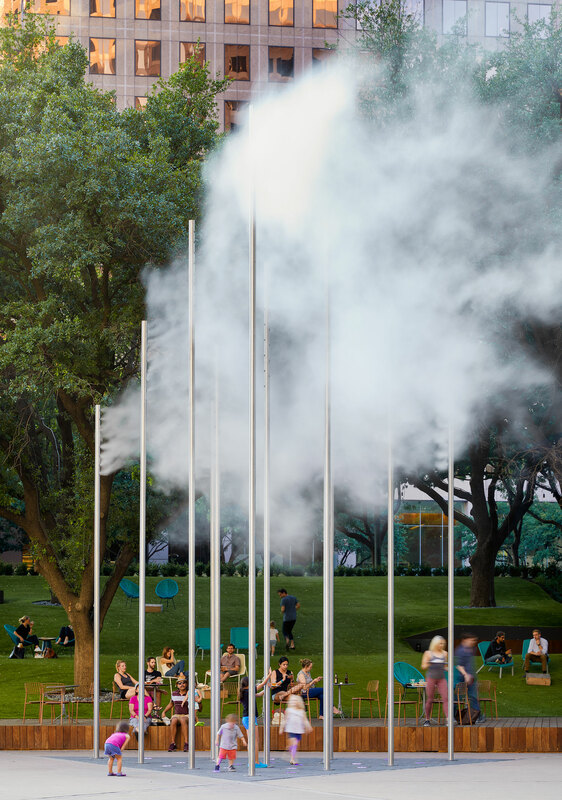 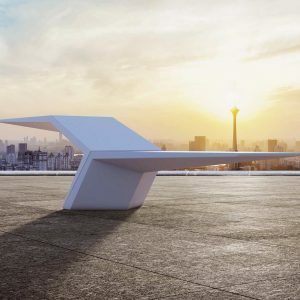 Cloudscape is the interactive centerpiece of the project and encompasses a sustainable statement, public art, theatrical entertainment, branding and innovative wayfinding. 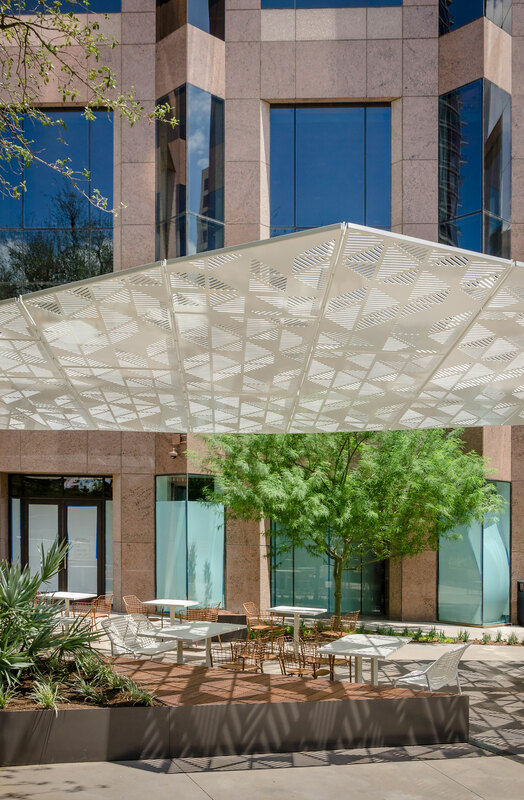 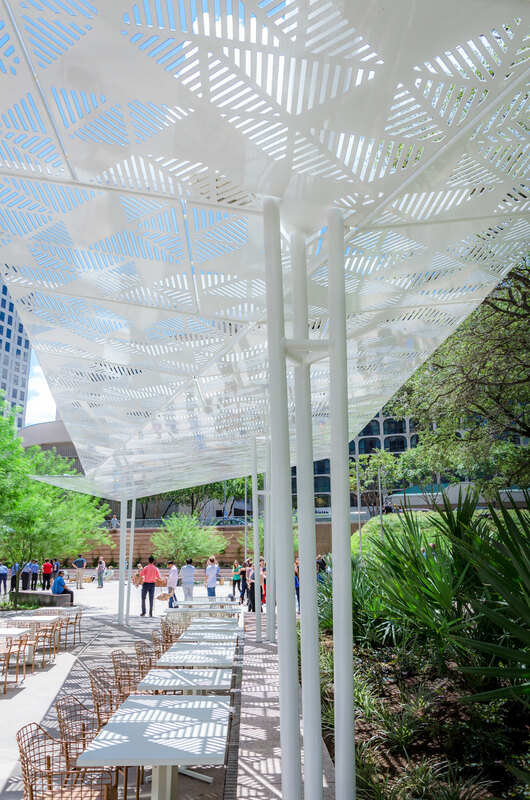 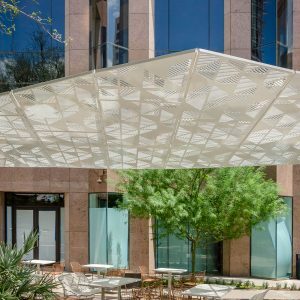 Nimbus, the custom-designed and fabricated shade structure, provides relief from exposure and the immense scale of the adjacent tower as it meets the plaza floor. 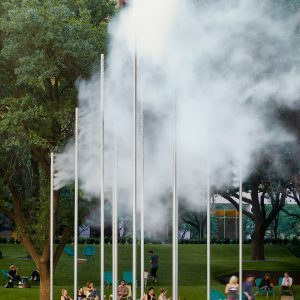 As clouds move through valleys, they respond to their surroundings. 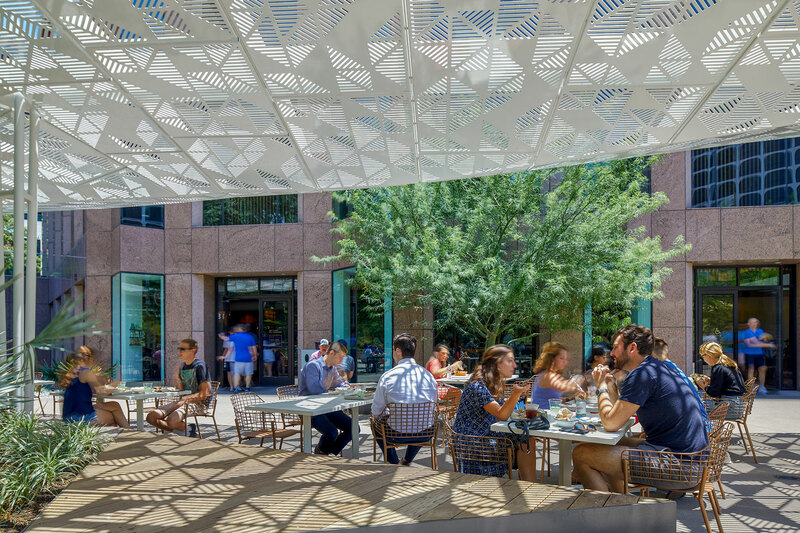 Nimbus, in turn, folds as a response to the angular topography of the site while the patterned canopy creates stylized dappled light. 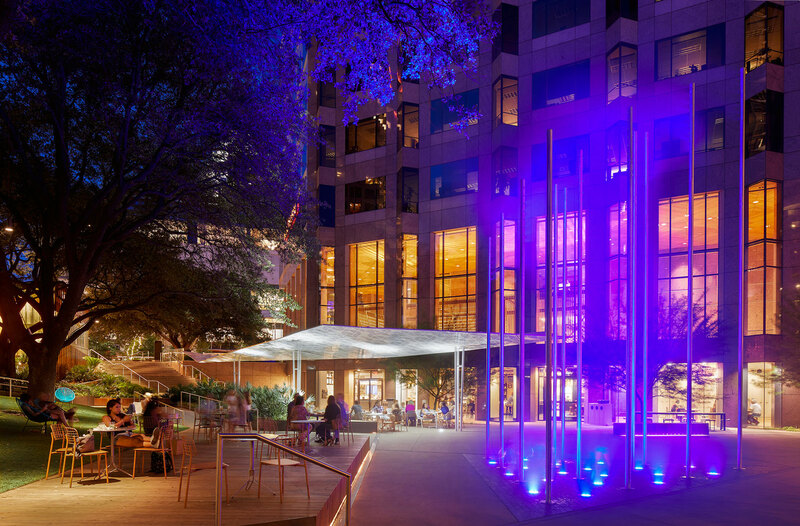 The plaza transformation is blended seamlessly with an interior lobby renovation that introduces a gourmet food court into the office tower. 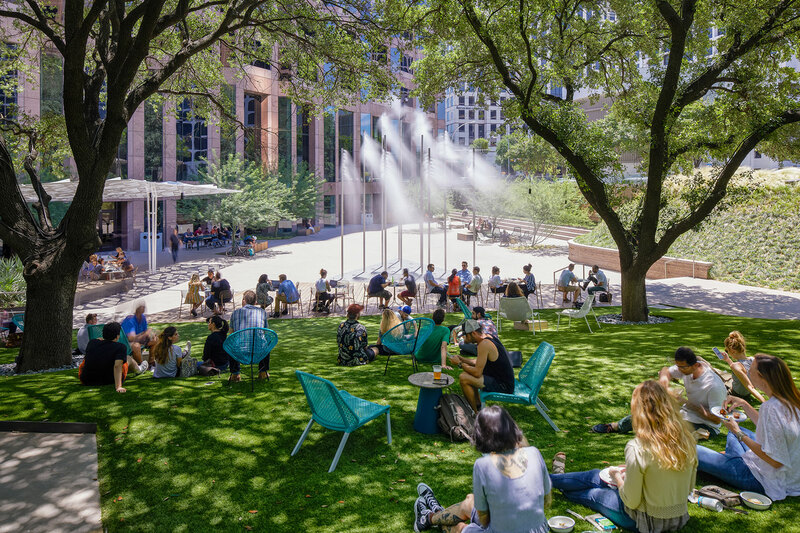 Featuring some of Austin’s most iconic local restaurants and chefs, the food hall activates the interior with a hub of social activity, during work hours and at night. 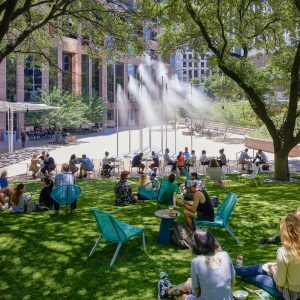 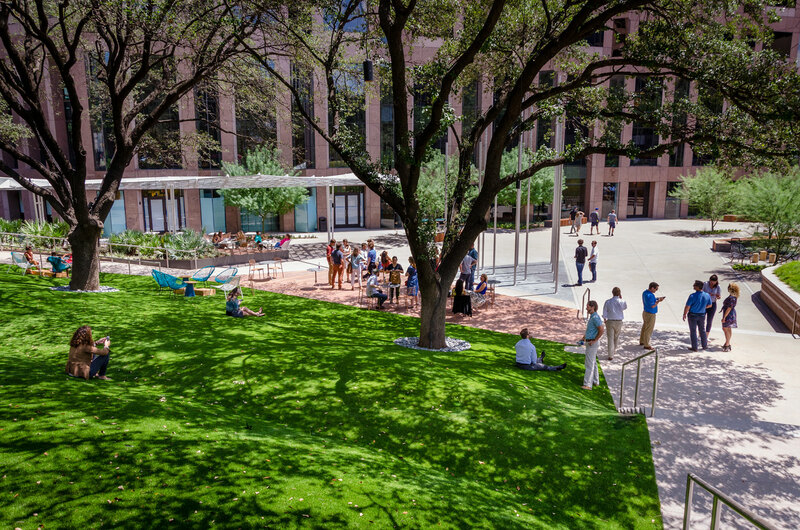 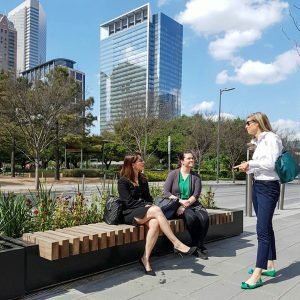 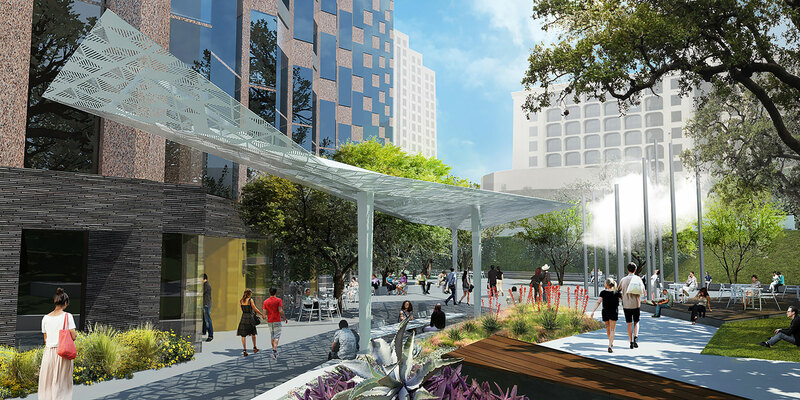 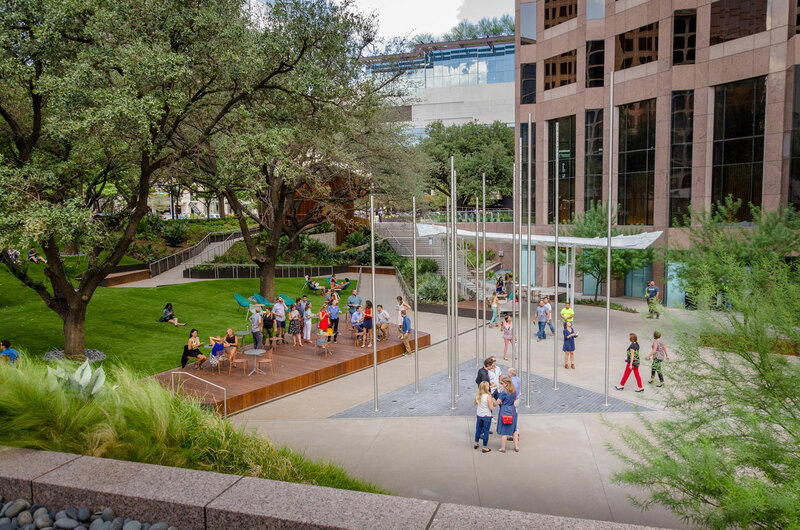 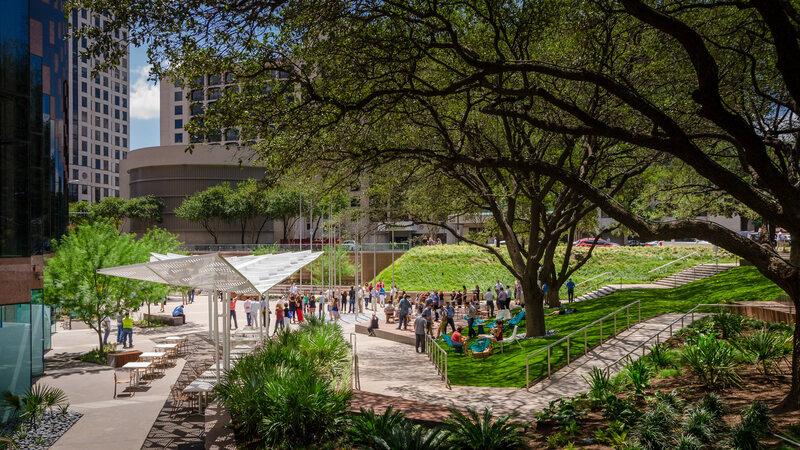 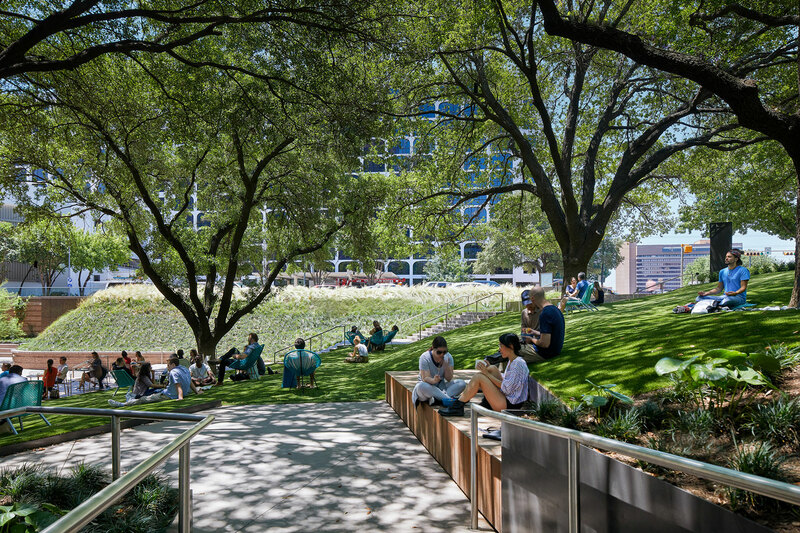 Fareground provides a new heart of downtown for the current Austin population — a social, active and urban, cross-section of residents, employees and visitors. 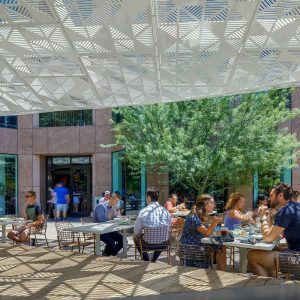 Fareground successfully transformed an unutilized, sunken office plaza into a vibrant, inviting, urban, open space, blurring the line between public and private spaces and seamlessly braiding convivial activity into the workplace through a distinctive, sustainable design. 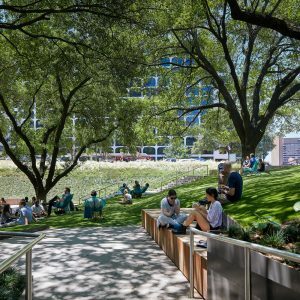 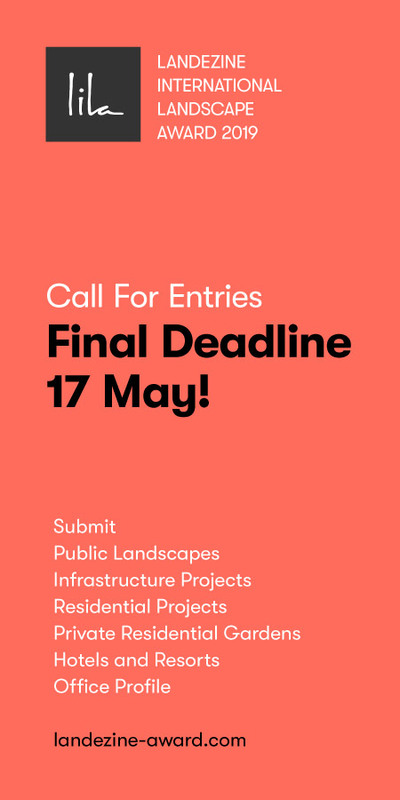 Fareground embodies stewardship of the urban landscape through vision, leadership and an integrated and collaborative design team that embraced the dynamic and transformative role of landscape urbanism.